Our founders believe that educating patients is one of the most critical functions they perform as physicians. Yet, they, like most doctors, had to rely on inadequate, antiquated tools like as paper-based handouts and rushed verbal instructions to transmit important health information to their patients. Despite the best of intentions, this creates a system set-up for failure and one that leads to unnecessarily poor health outcomes, preventable costs, and dissatisfaction for both patients and providers. As we looked deeper into this problem, we found a substantial body of research that validated this observation.Studies have shown that 40-60% of medical information provided by healthcare practitioners is forgotten by the patients as soon as they leave the hospital (1). Another article published in JAMA reported that only 12% of US adults had a proficient state of health literacy (2). It’s no wonder why many patients struggle to follow through with their self-care instructions, miss critical appointments, do not show up for appointments and procedures adequately prepared, or experience poor outcomes that could be prevented if patients had the critical information they need readily accessible to them. We sought to identify use cases where this patient education gap was particularly evident and problematic. We learned that there are 14 million colonoscopies performed in the US annually. Most hospital and practices performing colonoscopies rely on paper based hand outs and verbal instructions, often given months before the procedure date, to educate patients on a series of instructions that need to be followed in the days leading up to the procedure, to ensure that the colonoscopy can be completed. An average sized hospital performs approximately 15,000 colonoscopies per year and the average rate of no show, late cancellation and failed preparation is 12% (3). Each patient that fails the preparation or does not show up for a colonoscopy procedure costs the hospital approximately $1,300 to $1,500 in net losses (4). This means poor adherence to instructions for even just one procedure can cost a hospital $3 million per year. In making a business case to our hospital clients, specialty private practices, and ambulatory surgical centers, we show that if we can reduce their failed procedure preparation, no show, and late cancellation rates by just 20-30% for a few high volume procedures, we can save them millions of dollars every year. Kessels et al. Patients' memory for medical information. J R Soc Med. 2003 May; 96(5): 219–222. Hayat, U., Lee, P. J., Lopez, R., Vargo, J. J., & Rizk, M. K. (2016). Online Educational Video Improves Bowel Preparation and Reduces the Need for Repeat Colonoscopy Within Three Years. The American Journal of Medicine. Medumo is a mobile and web-based platform that delivers timely instructions and reminders with links to easy-to-follow checklists and videos. By giving patients the right information at the right time using methods they prefer (e.g. email and SMS) patients are able to better manage their care during the periprocedural period. The educational function of the software is supplemented by digital check-ins at key points to ensure that patients are on track and to identify potential problems. All content is customizable and delivered automatically according to a customizable timeline. Should the patient indicate there is a problem during a check-in, or if our software determines that the patient is not engaging with the software sufficiently, Medumo can notify a predetermined provider (e.g. nurse, physician’s assistant) on the care team to facilitate a timely intervention. Medumo has created a software solution using algorithms developed to leverage existing tools and industry-standard communication mechanisms like email and SMS to deliver precisely-timed with links to additional interactive, web-based educational content to help patients prepare for and recover from procedures. Beyond just guiding patients, by interacting with patients every step of the way, Medumo can help predict and prevent adverse events, such as a cancellation, a failed procedure preparation, or a postoperative complication. After deploying our first solution, we quickly realized that the need to download an app creates a significant barrier that impedes adoption for many patients. Many patients struggle to download apps, and prefer not to download apps for single procedures or episodes of care. We also quickly recognized that most physicians already feel overburdened, and adding to their workflow is a non-starter. We knew that in order to be successful we did not want to be dependent on patients to download an app, we needed to eliminate the need for providers to alter their workflow, yet we needed to be able to transmit critical information to patients. Our proudest accomplishment to-date has been providing a measurable improvement in patient outcomes for colonoscopy for a safety-net patient population that is traditionally considered highly challenging to reach and engage. 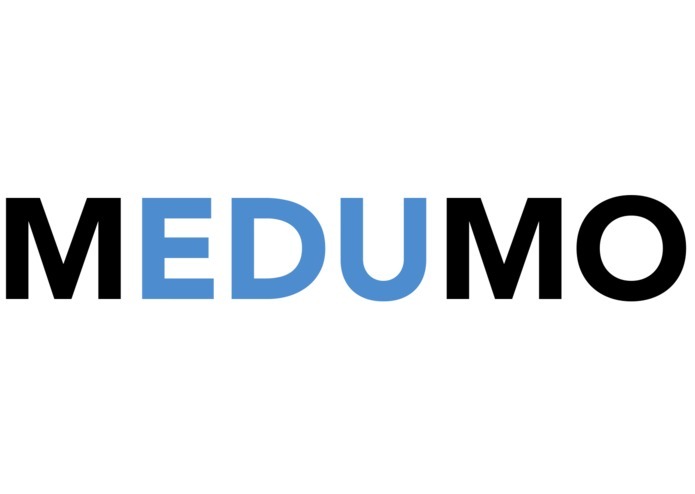 By purposefully avoiding the need for patients to download an app, simplifying the deployment for providers, and providing clear, timely, and engaging patient education content Medumo was able to launch an initial successful pilot at the Cambridge Health Alliance. This pilot showed a 93% activation rate, 81% engagement rate, 70% reduction in the cancellation rate, and 95% of patients indicated they had a positive experience. We are also beginning enrollment for a 10,000 patient trial at the Brigham & Women’s Hospital designed to use Medumo to improve outcomes for colonoscopy. We are also going to be implementing Medumo at Massachusetts General Hospital, Beth Israel Deaconess Medical Center, Children's National Medical Center, and various private practices in New England. Finally, we were recently chosen as 1 in 30 companies out of over 430 companies that applied to join the PULSE @ MassChallenge digital health accelerator program. We learned to utilize responsive web pages that allow patients to move seamlessly from an SMS or email to interacting with personalized web-based content on users phones or desktops, and we’ve chosen to incorporate engagement modalities (text message reminders, video-based instruction) that have proven to be effective at driving patient engagement and behavioral alignment. Medumo has also learned to apply innovation from the education technology sector in novel ways to improve patient education. Adaptive learning, for example, is a proven educational method utilizing computers as interactive instructional tools to deliver content based on the unique needs of each learner. Today, adaptive learning has been widely adopted in practice in the education industry, but it has not been utilized to drive improved healthcare outcomes. Medumo is committed to transferring these data-driven approaches into the healthcare space. We are leveraging our founders’ network and our partnership with Massachusetts General Hospital through the PULSE @ MassChallenge Accelerator program to secure partnerships with a number of top-tier hospitals. We are capturing data on the impact of our software that will allow Medumo to strengthen our business case to new customers and generate sales revenues. We are currently deploying pilot studies at Beth Israel Deaconess, Mount Sinai Hospital, Brigham & Women's Hospital, and Children's National Medical Center. We are building software for multiple high impact use cases including joint replacement surgery and peri-operative medicine. As we continue to demonstrate the effectiveness of our program through clinical data from these pilot sites, we plan to work with partners in the industry with strong distribution networks to offer our solution to healthcare organizations at scale and become the gold standard for data-driven patient engagement software.